This carpet is 15 meters long. 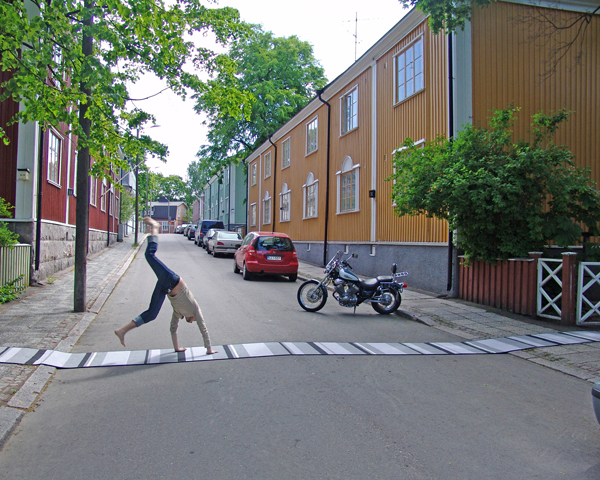 It can be used flat on the floor or one can build different kinds of furniture with it by bending and shaping it. The material is recycle cotton. 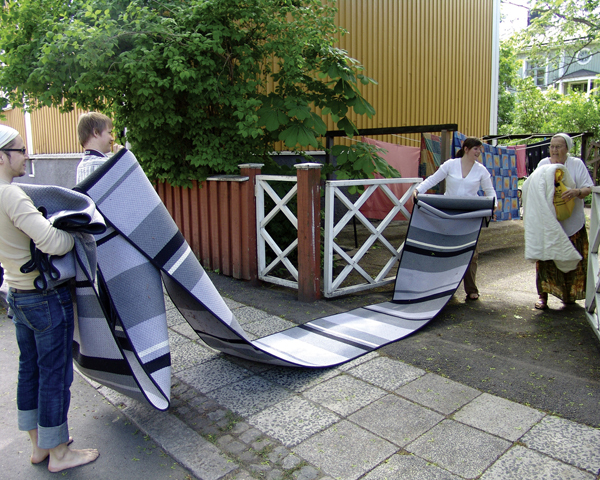 This prototype was sponsored and manifactured by Markku Lehtola carpet weavery in Vimpeli, Finland.